I know, it’s supposed to be over. But anyone living with, or loving someone with, breast cancer knows it’s never over. Pink-tober may be more offensive than the other 11 months of the year, but breast cancer is always around, whether it’s front and center, or lurking in the dark. I’m not even sure I can count the ways that this 5-Hour Energy spot offends me, but I can’t help wonder what the singer/actress was thinking (or, channeling Tagg Romeny, how satisfying it could be to slug her). 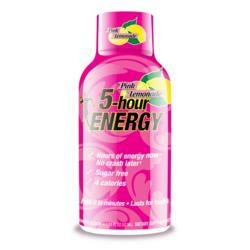 While optimistic about this past “breast cancer season,” I dare say 5-Hour Energy has brought us a step back: when fighting breast cancer is “swell” and put to a jingle, something is very, very wrong. Previous NaBloPoMo 1: Circles Next NaBloPoMo 3: Now What? I saw that commercial! She was so freaking cute and perky it was sickening. Oh lord. Maybe they’ve should have marketed it to help women run to their mammograms faster . . . obnoxious. I saw the commercial at my gym while on the bike and it was yesterday Nov 3. The product looks awful too on top of all the junk that the commercial has in it. There is also something that I hate to mention that I noticed because it says the energy drink supports the Avon Foundation for Women. Here’s where it gets uncomfortable because I love and support Dr Susan Love’s Research Foundation and the Army of Women. According to her web site “The Dr. Susan Love Research Foundation and the Avon Foundation, a global leader in breast cancer research, joined forces to launch the Army of Women”. All I am saying is that the problem is systemic, since Dr Susan Love’s Research Foundation is so important and they need money to support the Foundation’s important work with breast cancer. I don’t like what this energy drink is saying especially in the guitar singing commercial. At the same time I support Susan Love and my respect, inspiration, and appreciation for Dr Susan Love’s work and her Foundation outweighs any stupid commercial for me any day. This stuff gets really dicey. But here is what ISN’T complicated: if a marketing effort is disrespectful of women with cancer, it’s bad. Now whether the good outweighs the bad is another question, and we each get to decide that. Personally, the means never justifies the end for me, and most especially when a product could have just as easily been marketed with an entirely different approach. You make an excellent point too Lori, when you say if a marketing effort is disrespectful of women with cancer, it’s bad. Wish we could get a petition going against them to let them know that women with breast cancer don’t support their product because of their offensive commercials.